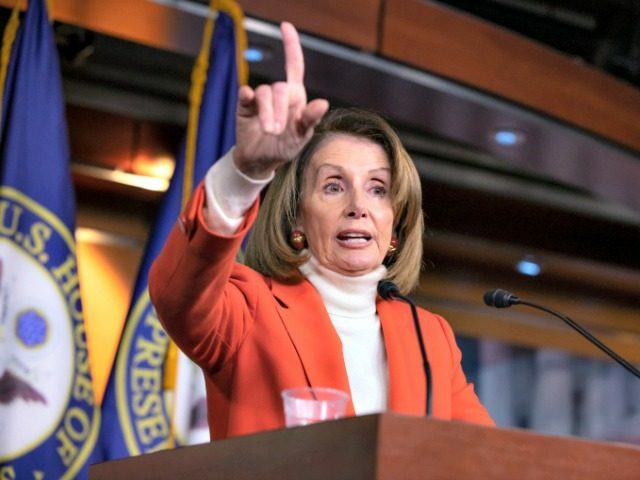 Rep. Tim Ryan (D-OH), who previously stated he would vote against Democratic leader Rep. Nancy Pelosi (D-CA) for Speaker of the House, has now changed his mind, according to a statement released by the congressman on Wednesday. 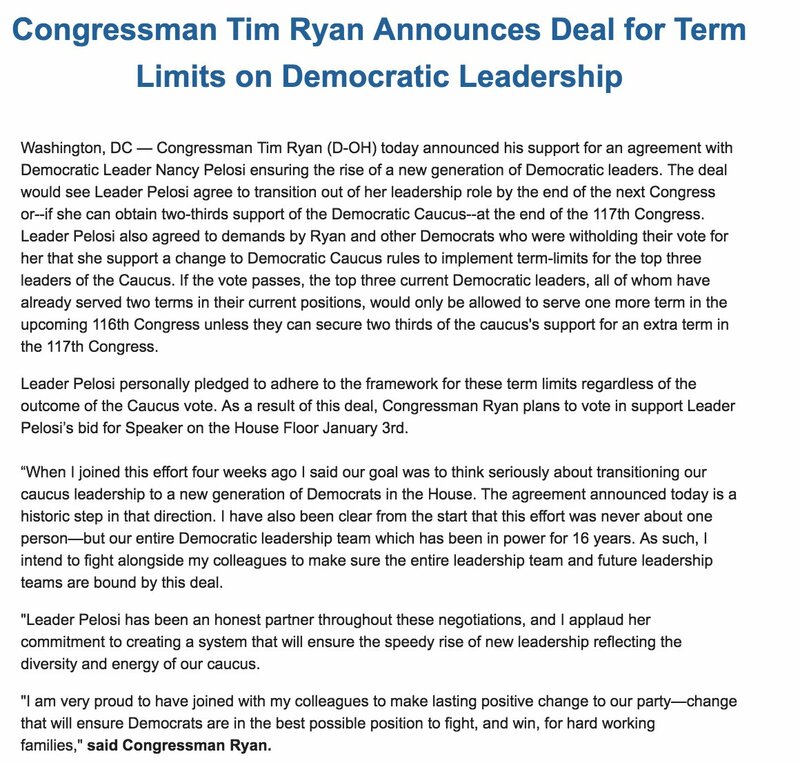 Ryan, who has been an outspoken critic of Pelosi, announced his support for a term limits agreement with her that will ensure the rise of a new generation of Democratic leaders. When I joined this effort four weeks ago, I said our goal was to think seriously about transitioning our caucus leadership to a new generation of Democrats in the House. The agreement announced today is a historic step in that direction. I have also been clear from the start that this effort was never about one person—but our entire Democratic leadership team which has been in power for 16 years. As such, I intend to fight alongside my colleagues to make sure the entire leadership team and future leadership teams are bound by this deal. “I am very proud to have joined with my colleagues to make lasting positive change to our party — change that will ensure Democrats are in the best possible position to fight, and win, for hard-working families,” Ryan concluded in the statement. Ryan, along with 16 others who once stood in opposition to Pelosi, signed a letter in November stating he would vote against her for speaker. Rep. Marcia Fudge (D-OH), who once led the charge against Pelosi for speaker, folded and began backing her last month when a letter from Fudge backing a disgraced former Cleveland judge who was convicted of brutally beating his wife resurfaced in the wake of the man’s alleged murder of her. Pelosi was also able to convince Rep. Brian Higgins into supporting her bid for speaker with a promise of an infrastructure deal.